It’s really nice having the mouse that bit closer to the right hand. It’s not about the reach, or the time it takes to traverse the reach, it’s mostly about the angle of your muscles and bones during use. Mouse-work is BAD for your wrist. And it’s made worse by the extra distance away from center. This is why your hands should rarely leave the keys in the first place. I’m trying, rather than having to swap key-pad and mouse often, to train myself to use the left hand for keypad type entry. Mostly, for me, this is pressing the buttons that change the view-direction when modeling 3D stuff in Blender, a with small amount of numerical data-entry. Using my left hand for that is cumbersome, though I expect it to improve as I do so more. I did not realize how often I use the “Enter” key on the bottom right of the keypad in lieu of hitting “return”. This is the thing that probably feels the most disabling. I used to just karate-chop the corner of the keyboard to press “return” quite often is seems, and that doesn’t work now. 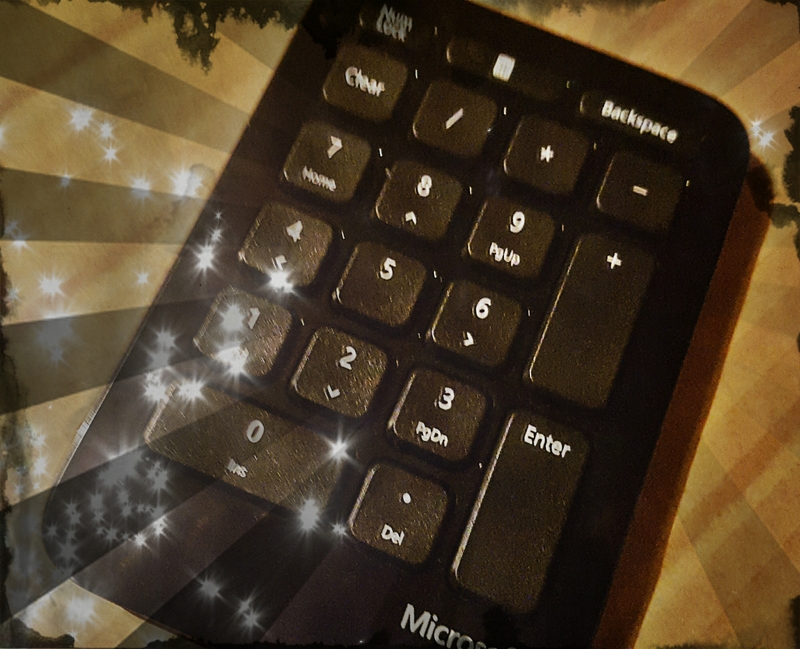 The separate number-pad would be brilliant as a remote-control for Netflix or whatever if the Netflix stuff actually responded to cursor-keys or Home/End etc. If I could redefine the keys there I’d have a Netflix-Remote! Totem (Linux/Gnome video player) responds to cursor keys. Doesn’t pause/play on a “0” though. If I wrote that app then it would (now). I am using the cursor keys on it to scroll web-pages as I lean back with the “remote” in my hand. Which is pretty nice. The main jig of this new keyboard is working out alright. Few days of a bit of fumbling, but I’m basically up to speed on it now. I’m even using the little plastic attachment to change the slope of the keyboard, and it’s quiet. The space-bar is split, being two buttons, and it makes it a bit frustrating that the whole keyboard isn’t split in two. So I could hang the halves like saddle-bags from a stool. Still want the saddle-bag keyboard. This will do for now however. I continue to hate recommending Microsoft anything, but they do keep making by far the best value for money ergo-keyboards out of anybody. The bastards. Oh, and it came with a mouse, which looks like it’d be better than most mice. It’s kinda half way to being a decent upright-mouse. Which is better than most puck-mice, certainly. But I’m not going near it. Still looks terrible compared to a real upright mouse. If you want a nearly-ergonomic mouse let me know.